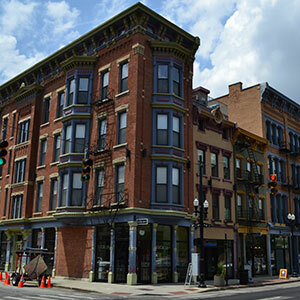 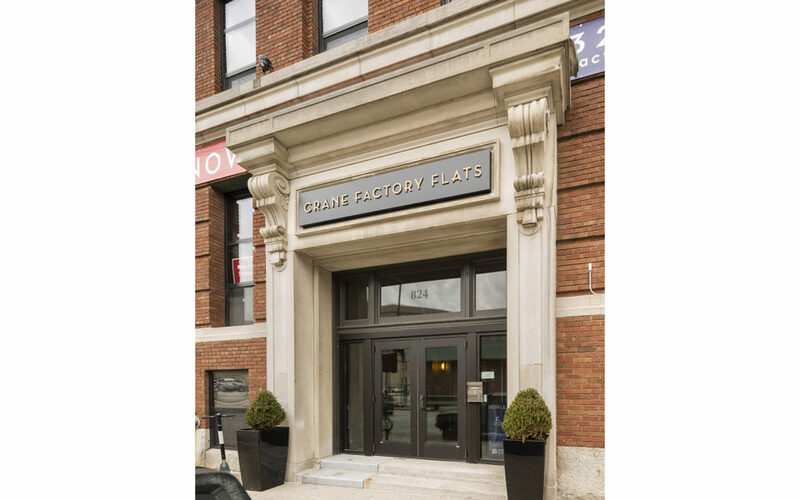 The address of 824 Broadway started as the historic Crane Hawley Factory, then spent years as the Hamilton County Board of Elections headquarters. 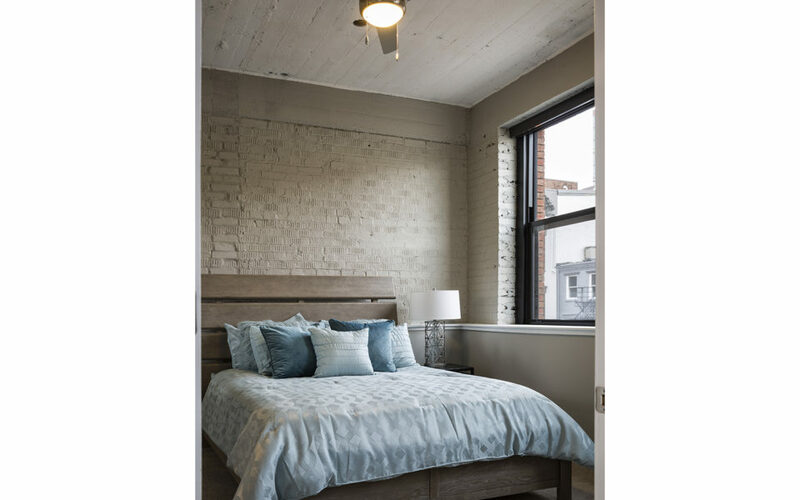 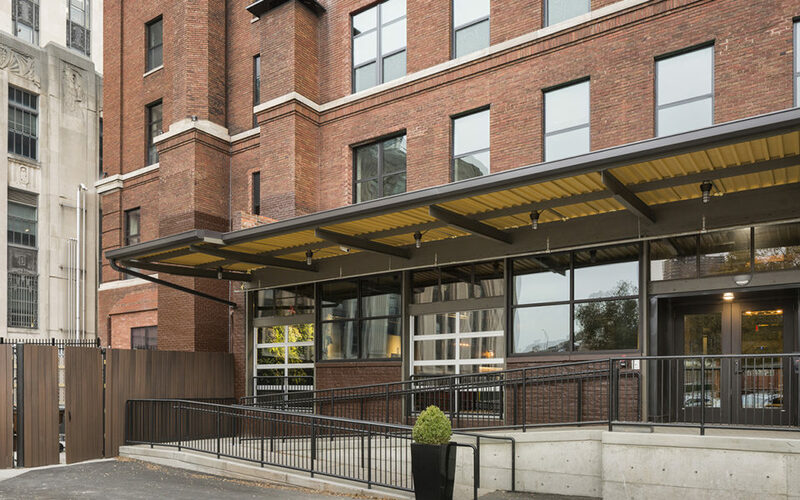 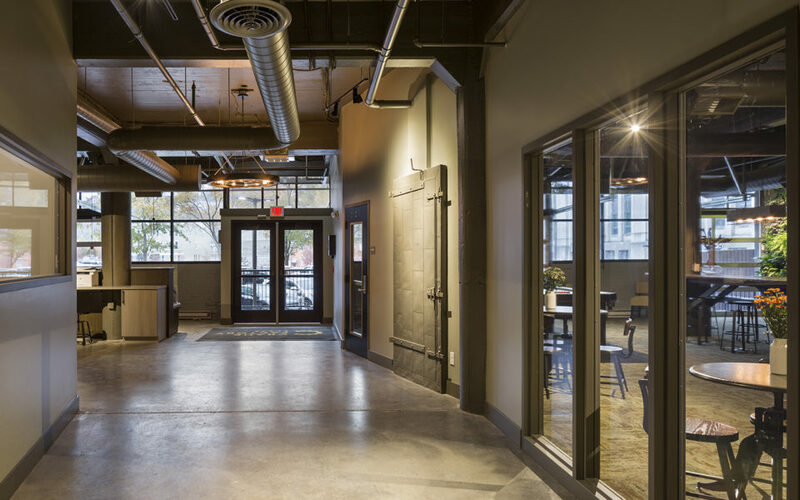 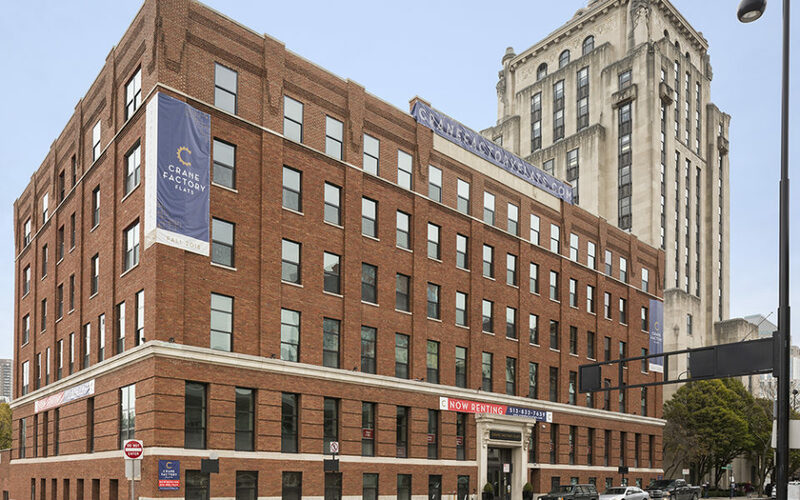 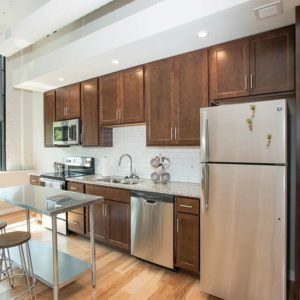 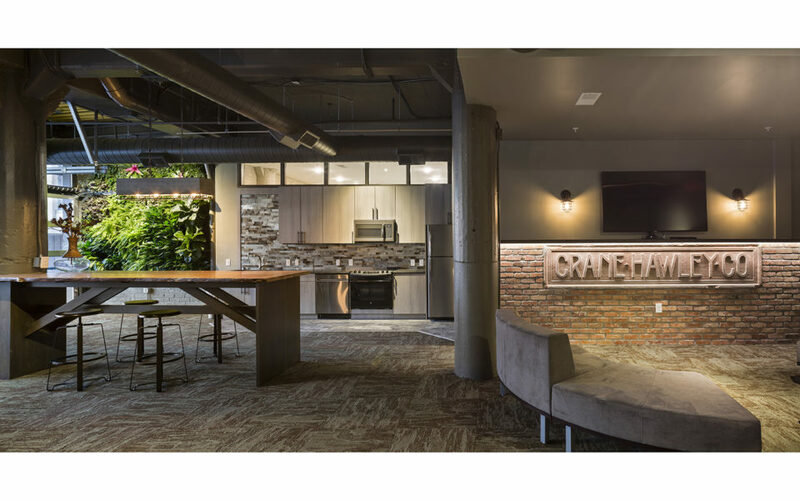 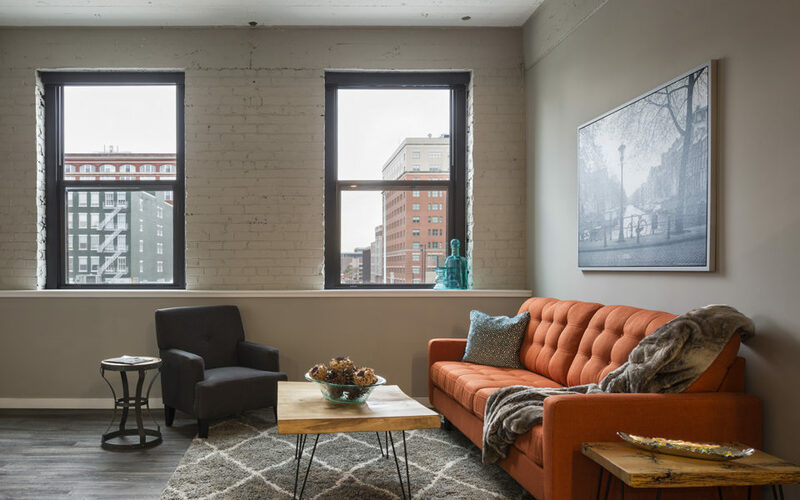 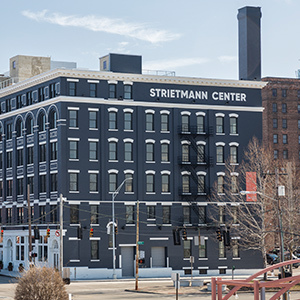 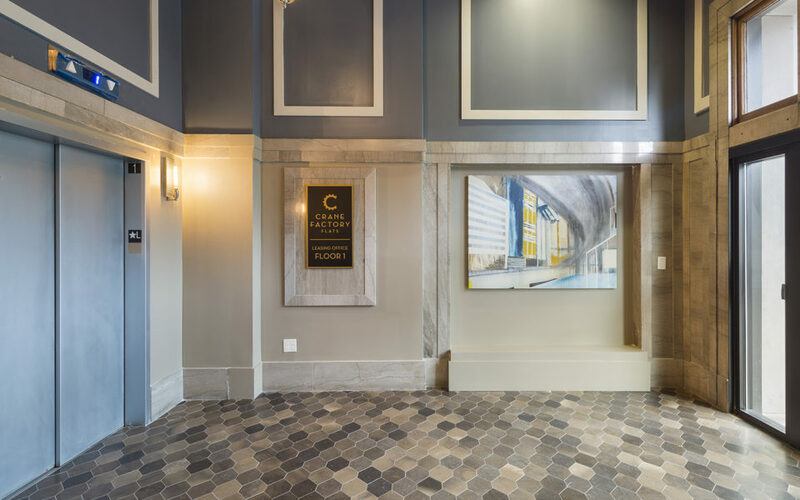 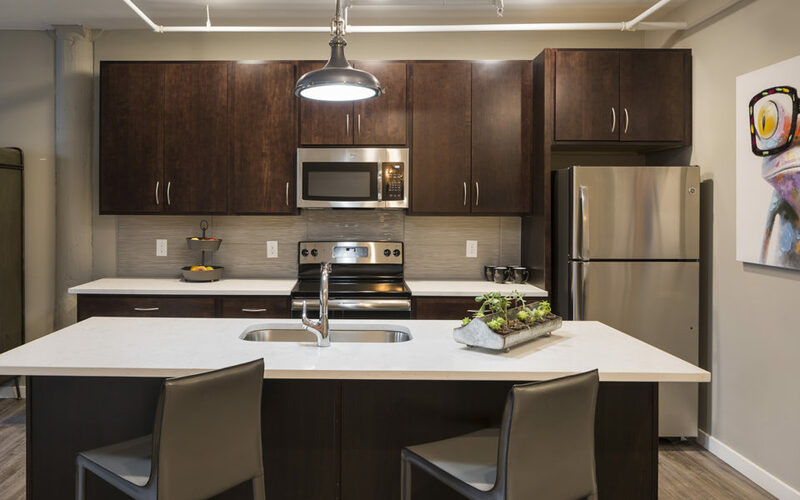 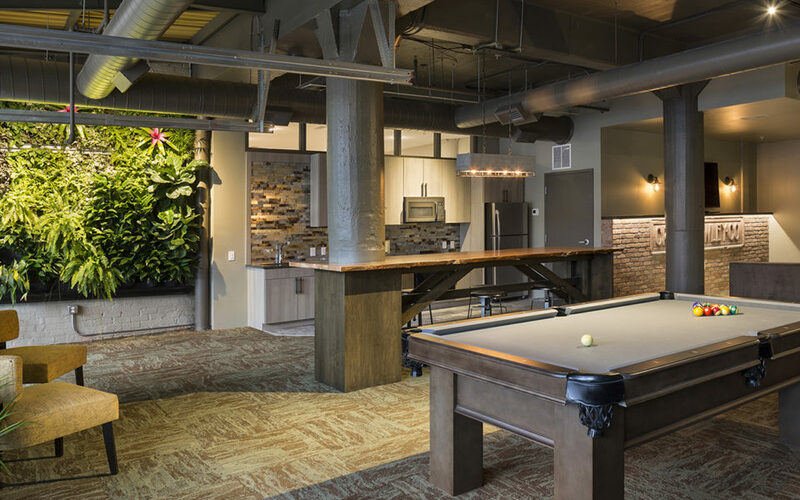 HGC was the Construction Manager at Risk for a comprehensive large-scale renovation that created luxury loft-style apartments in the heart of downtown Cincinnati. 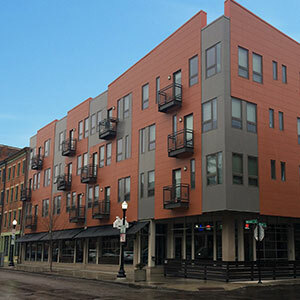 The renovation required extensive interior demolition, particularly on two floors of the building that had previously been police offices and evidence storage. 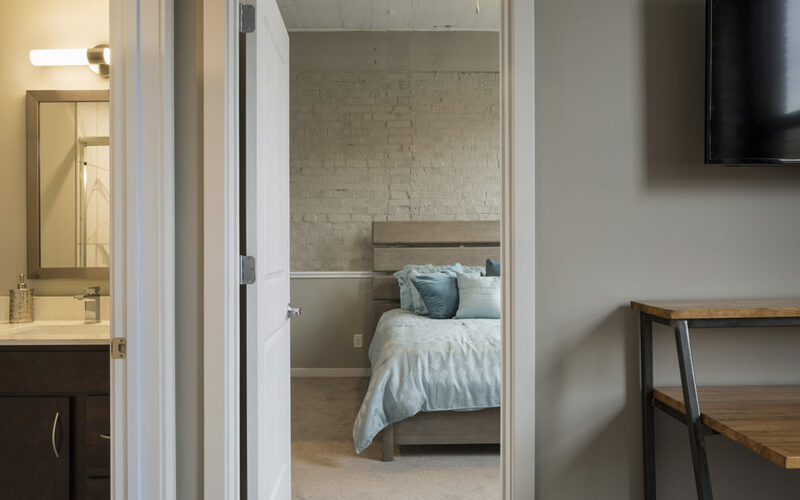 Dozens of new window openings were created on the north and south elevations, which then required the addition of concrete shear walls from the basement to the roof to satisfy structural requirements. 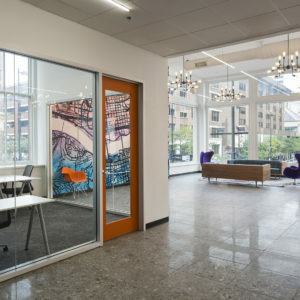 Once the structure was ready, interior construction began. 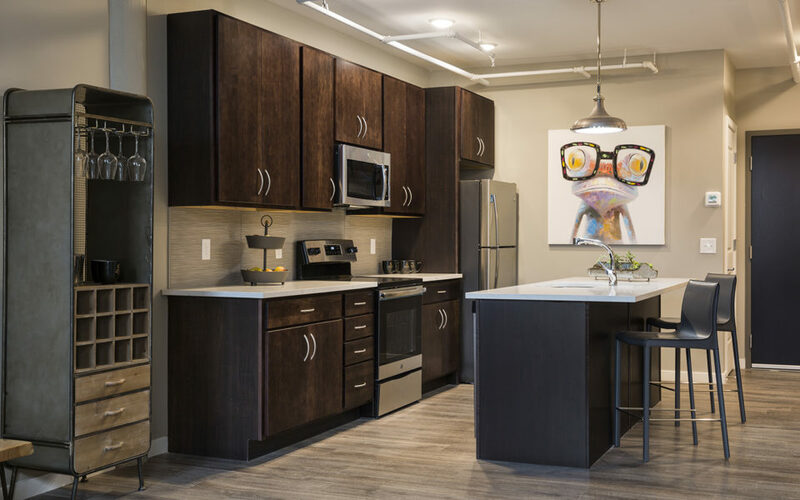 The end result is 69 apartment units ranging from studio, 1-2 bedroom, and townhomes. 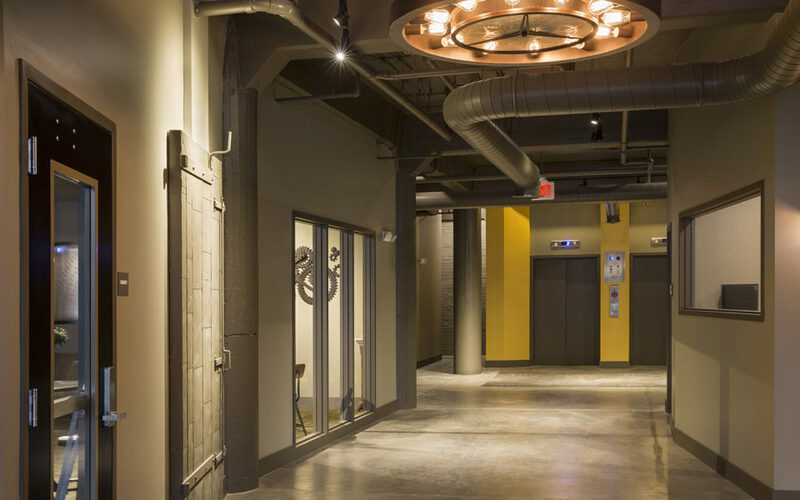 The standard basement was converted into a 20-space parking garage, which required the innovative creation of a brand-new ramp entrance. 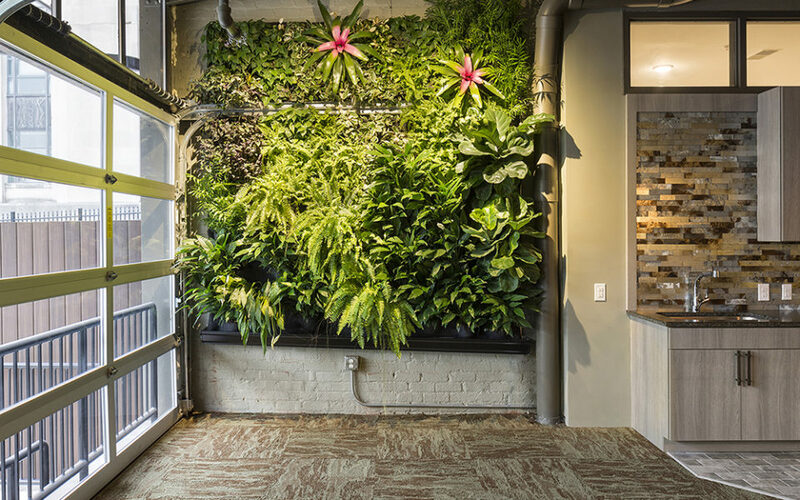 Additional amenities in the space include a yoga room, fitness room, business center, and shared gathering space with living wall.